You didn’t see this one coming from us, did you? Since we drive all over the city to pick up and drop off your precious cargo whenever you want it, we know a thing or two about driving with purpose in the Big Apple. 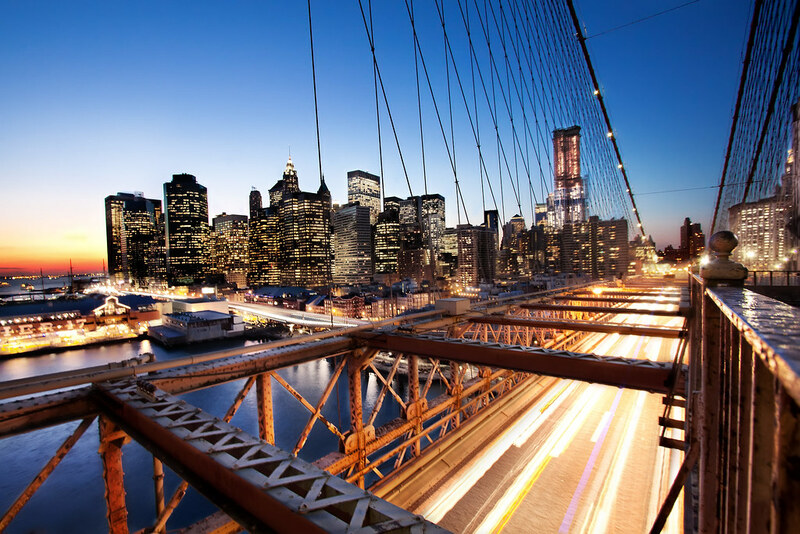 We’re a logistics company just as much as we are a storage one, and so here are a few tips on how to navigate New York, with or without your breakables in the back. Middle lanes are your friend. Cabbie be sharkin’. It’s just what they do. Cabbies are always prowling up and down the exterior lanes, looking for prospective passengers. Their patented move is to dive in and hit the breaks last minute, cutting off anyone behind them and causing a full line of cars to jam on the brakes. To avoid it all, stick to the center-most lanes whenever possible. You’ll deal with less cabbie maneuvering there. Some North/South avenues, like 2nd and Madison have lights that are sequential. It’s totally possible to travel from 68th street all the way down to Houston without ever catching a red light. Just drive at 30 miles an hour (the city’s speed limit) and the lights will fall into place in front of you – green, green, green, green. Believe it or not, this both faster and serves to cuts down on aggressive drivers darting in and out, looking for their next quarter mile drag run to beat the light. Be warned though, pedestrians aren’t on your same pattern. Surfing the lights can put you right in front of a straggler on foot. Always be mindful of crosswalks. Don’t just use your blinker to change lanes, use your gas pedal too. Hesitating behind the wheel can lead to your favorite food truck being in your trunk. There’s no room for hesitation in NYC. When you want to switch lanes, the best way to do it is to indicate with your blinker, and then accelerate slightly into the space you want to move into. There’s no need to slow forward momentum to switch lanes. If you have to slow, you probably shouldn’t be switching lanes anyway. That’s what football players and other people with whistles around their neck say. At urBin Storage, we apply this to our street sense. Cabbies and other aggressive drivers will often try to take up two lanes. They do this so that they always have an alternative if one of the lanes that they’re in slows down. This type of driving is dangerous and makes it very difficult to predict what the cars around you are going to do. To counter this, make sure you defend your lane. Don’t let other cars creep in, as it allows them to stop suddenly in front of you, swerve into your path, or cause a whole host of other door denting maneuvers. The best thing to do is to try to drive with a buffer around you. If you are getting crowded, flash your lights or sound your horn to remind those overly aggressive drivers that you’re there and get them looking in their mirrors. Stay out of blind spots, and if road space is tight, get your car next to theirs so they can’t cut across you. If you have space, just get a lane away and remove the threat all together. When driving, it’s best to focus way down the road, especially in NYC. This makes it easier to see what’s going on up ahead and react to things before you find yourself in the thick of it. At the same time, keep your eyes scanning from up the block to right in front of you. This makes sure you don’t sink your new shiny wheels into a New York-sized pothole (there’s plenty of them now that winter is winding down). Potholes can flatten a tire, bend or crack a wheel, damage suspension bits, and give your back a healthy reminder of just how old you’re getting. Nothing flowery about this one. Just a bit of common sense. And finally, if you see an urBin delivery truck in your rear mirror, the law requires you to move over. UrBin trucks always have the right of way.